Salam.. Just selingan.. I used to like this song.. and about this picture.. used to be another picture.. i have design that picture for someone.. it have her picture in it.. since it was a nice picture.. ( i think it is..org lain xtau la.. ) so.. i design it (not design.. just change a little bit..) to make it suitable with the lyrics.. hehehe.. 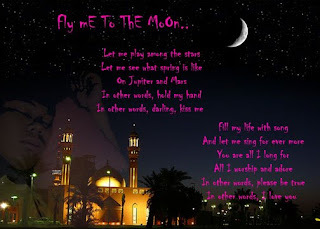 Here is the full lyrics..
Hadiah ku Untuk mu.. Tapi di Blog ku.. Hehe..
Long Day.. Tired as usual.. Friend Forever?? i Missed U..